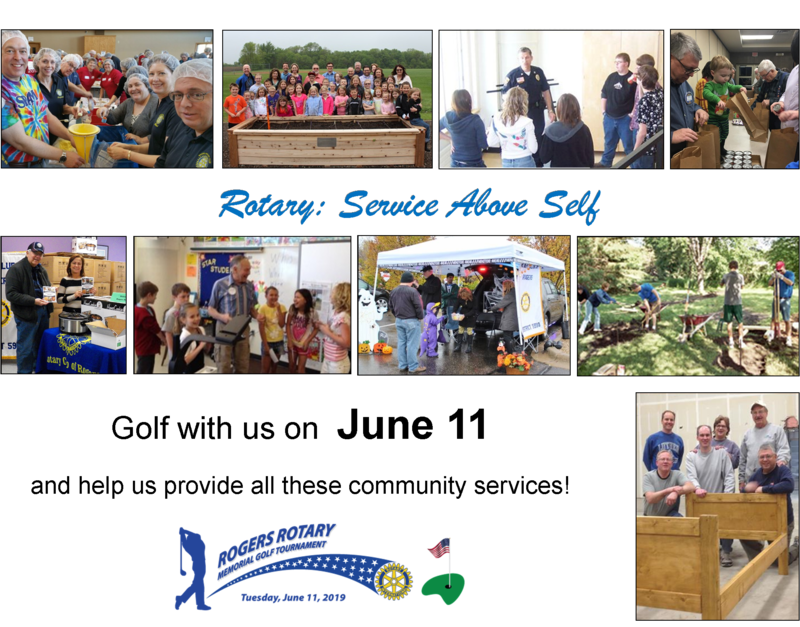 Join us for the 2019 Rogers Rotary Golf Tournament at Fox Hollow Golf Course in St. Michael. Golf includes green fee, cart and dinner. Would you support our tournament as a Title Sponsor ($2,500), Corporate Sponsor ($1,000) or other sponsorship ranging from $250-$500? We greatly appreciate this support which funds our community service projects and participation in Rotary International worldwide programs.